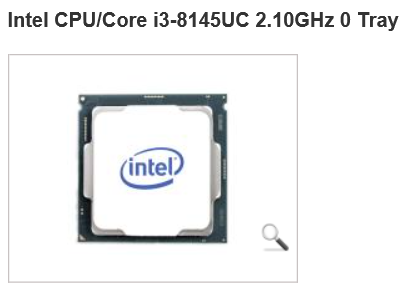 Numerous online retailers have been adding new placeholders for Intel processors on their e-commerce sites. The chips listed are the Intel Core i3-8145UC, the Core i5-8265UC, and the Core i7-8565UC. It’s not entirely clear how these CPUs differ from the Whiskey Lake U-series, although the stepping code variation seems to suggest memory support changes. 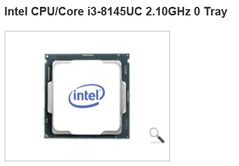 Listings for Intel Core UC-series processors have been spotted at the websites for a number of online computer hardware retailers. For example, Kikatek has a placeholder for an “Intel CPU/Core i3-8145UC 2.10GHz 0 Tray” with the model number CL8068404064708. Intel has provided Ordering and Compliance information that provides two different model numbers for the i3-8145U processor. There is a variant with W0 core stepping that has the model number FJ8068404064702, which seems to be the original part number for the CPU that was released in the third quarter of 2018. Another variant of the i3-8145U is mentioned, with the same model number as Kikatek’s and with V0 core stepping. 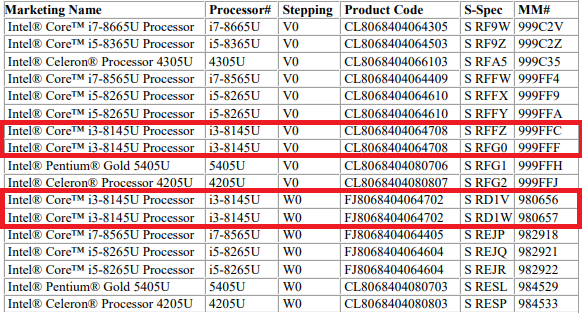 A Product Change Notification was sent out by Intel on April 9 that includes four mentions of the i3-8145U with four different S-Spec numbers (V0 stepping: S RFFZ, S RFG0; W0 stepping: S RD1V, S RD1W). It seems the S RD1V variant differed from the S RD1W model because of its additional features such as Enhanced SpeedStep technology and support for Intel Software Guard Extensions (SGX). The above notification was created in relation to a new manufacturing site in Vietnam. However, there is reference to V0 stepping relating to improvements in memory support. 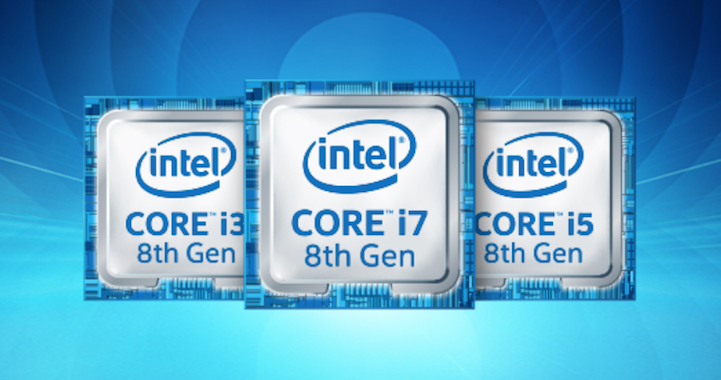 The Intel Core i3-8145UC, Core i5-8265UC, and Core i7-8565UC could be available soon, according to the dates offered by some of the online retailers.